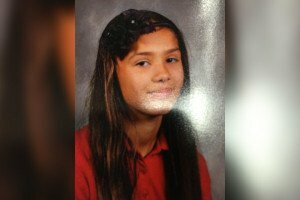 Aracely Acevedo, 12, has been missing from her Tacony home since Dec. 23. According to police, Aracely Acevedo, who suffers from attention deficit disorder and hyperactivity disorder, returned home on Dec. 31. She was reported missing after leaving her home at about 3 p.m. on the 4200 block of Van Kirk Street. While police offered no further information, when Acevedo disappeared, she was last seen on the 2000 block of Wakeling Street boarding the 56 bus going Northbound, police said. Law enforcement officials described the 12-year-old girl as about 5 feet, 2 inches and weighing about 115 pounds. Acevedo has brown eyes and brown hair. She was last seen wearing a red shirt and black school pants, police said. Anyone with knowledge of Acevedo's whereabouts can contact Northeast Detective Division at 215-686-3153, or call 911. You can also submit tips to police anonymously here.